Sam Walker of Nobleton, ON, made his Under 25 Jumper division debut a memorable one, sweeping first, second, and third places in the $10,000 Under 25 Grand Prix, presented by MarBill Hill Farm, on Friday, July 20, at the CSI3* Ottawa International Horse Show held at Wesley Clover Parks in Ottawa, ON. Twenty-two horse and rider combinations contested the first-round track set by Ireland’s Alan Wade, with eight horses advancing to the jump-off, including four ridden by Walker. The 16-year-old returned first for the short course aboard Twan, an 18-year-old Dutch Warmblood gelding owned by North Run and Stephex Stables, and he set the time to beat at 41.97 seconds, only to topple his own leading time on his next entry, Coralissa. Walker and the eight-year-old Holsteiner mare, owned by MarBill Hill Farm, tripped the timers in 41.33 seconds to take over the top of the leaderboard. Walker’s jump-off approach worked. While Samantha Kasowitz and Catherine Tyree of the United States, and Lexi Ray of Campbellville, ON, all tried to catch Walker and Coralissa’s winning time, they each saw one rail hit the ground, and it was only Walker himself who bested his previous top performance. With Quivive SZ, Walker found the finish in 40.01 seconds to take the win, giving Coralissa the second place honour and Twan the third-place finish. Barbara Ruziska of the United States was the only rider able to break into Walker’s clean sweep, finishing in fourth on a time of 42.67 seconds with her mount Dynamite. 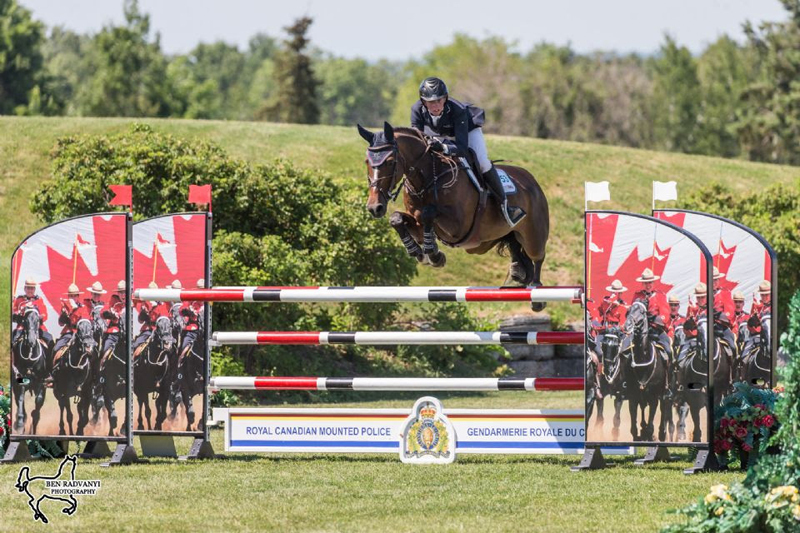 Walker also finished in fifth with one rail down in the jump-off aboard his own Acardi du Houssoit Z.
Walker’s winning mount, Quivive SZ, a 13-year-old Zangersheide mare owned by Missy Clark, North Run, Axel Verlooy, and EuroHorse, is a new mount for the young rider, who just got the ride two weeks ago. Visit www.OttawaEquestrianTournaments.com for more information on the CSI3* Ottawa International Horse Shows.